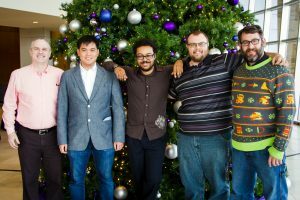 This year, ACU Student Productions is premiering the ‘Sing Song Archives,’ a website that hosts video, audio, and pictures from the many years of Sing Song history and tradition. We decided to dig up some COBA Sing Song history. Read more to find out which of your faculty and staff were Sing Song legends as students! First, our very own dean, Dr. Brad Crisp was involved in Sing Song all four years. He performed in six Sing Song acts, including directing the Fraternity of Galaxy in 1993 when they were hockey players. M.C. performed in Sing Song all four years as a student in both class and club acts and performed in two winning acts with Ko Jo Kai. Watch her performances here! Dr. Jessup was also heavily involved in Sing Song, participating in both club and class acts while at ACU as a student. He was a part of the Class of 1997’s clean sweep, meaning that their class acts won overall each year. 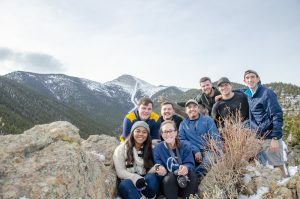 Dr. Jessup also participated in the Gamma Sigma Phi acts “How the West Was Sung” and “We are in Sails – The Shipping is on Us,” which are featured a ‘little’ later in this blog. Amanda Pittman performed in three Sigma Theta Chi Sing Song acts and won with “Making Their Mark” and “Chili Today, Hot Tamale.” See if you can spot her below! And last, but certainly not least, Dr. Andy Little. Dr. Little may have been the most involved person in Sing Song ever. 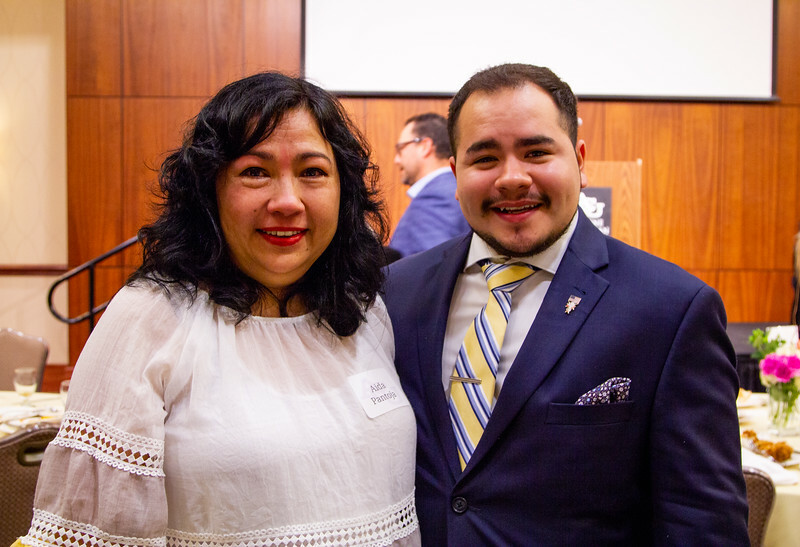 Performing in a whopping seven acts during his time at ACU as a student, Dr. Little participated in class and club acts all four years and even directed three acts. You can find even more Sing Song history by going to www.acustupro.com/archives. Be sure to come to Sing Song 2019 and watch all of our students who are involved as student directors, club and class act directors, leadership team managers and members, and act participants perform! Business & Sustainability students take a tour of the newly revitalized Cisco Downtown. In January, twenty-two students attended Dr. Sarah Easter’s Business & Sustainability course (MGMT 440), a one-week intensive class that educates students on the opportunities and challenges of developing more sustainable business strategies and practices, and to explore the changing role of business in society and in relation to the environment. “Typically in business, we focus on financial sustainability,” Dr. Easter explained. 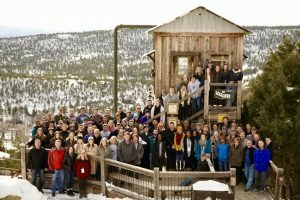 “We fail to consider the economic and social well-being aspects of sustainability, so this course looks at the impact businesses can have on the community and environment as well.” The course offers many different perspectives on sustainability, examining what that means for a variety of different companies, from large, global corporations to local, small businesses. 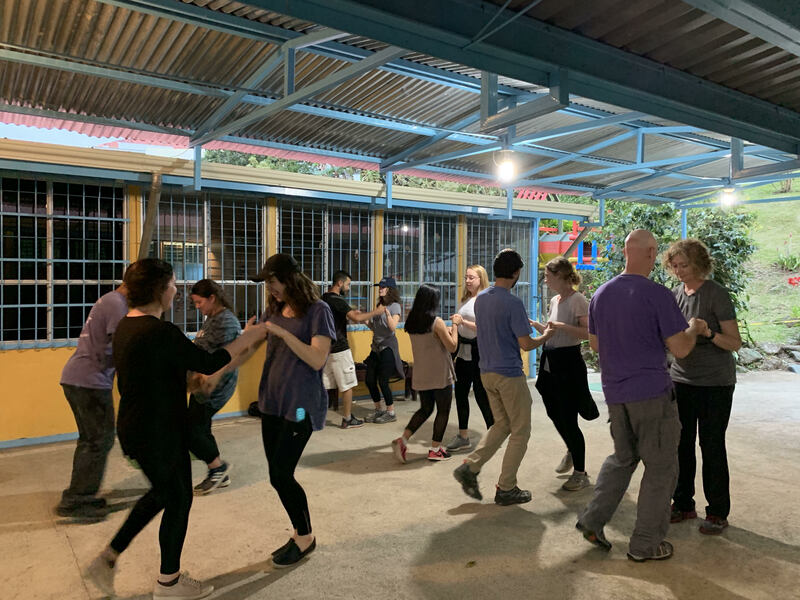 This was the third year that the course has been offered but the first year that Dr. Easter incorporated out-of-town field trips in addition to several guest speakers. 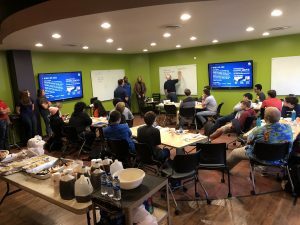 The students spoke with Abilene business owners, several ACU professors from varying colleges, and with a panel of Cisco downtown business owners. 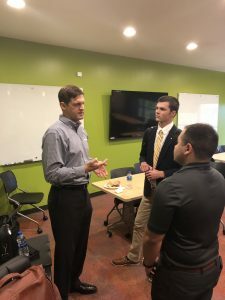 Students took a tour around ACU with Corey Ruff, Associate Vice President of Operations, to understand the campus initiatives for sustainability on a deeper level. They also went to Disability Resources Inc., a residential community for individuals with intellectual disabilities. Cisco mayor Tammy Douglas speaks to Business & Sustainability students. 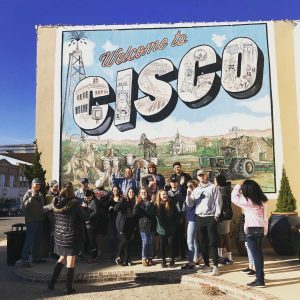 The students spent half a day in Cisco, TX. 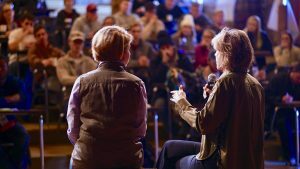 They spoke with Joy and Kerry Hedges, the owners of Slowpoke Farms and Slowpoke Market Store. The Hedges made significant lifestyle changes for sustainability regarding the food and products they consumed and extended those values beyond their personal life to their farming methods and business practices. In September, they opened the Slowpoke Market Store, which students were able to visit. The Slowpoke Market Store is a part of the revitalization effort in the downtown Cisco area. 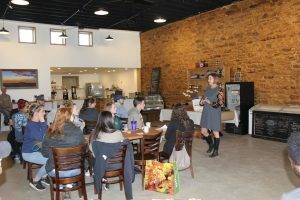 Students interacted with a panel of other business owners in the downtown area that are also involved with the revitalization efforts and with Tammy Douglas, Cisco’s first female mayor. 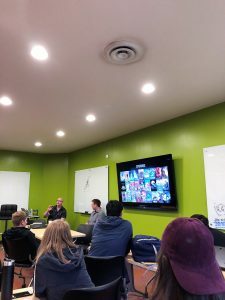 Douglas explained the importance of local resources and how they have incorporated sustainable practices in the changes occurring in Cisco and gave students a tour of the downtown area. By the end of the class, students were able to recognize interactions between environmental, social, and economic decisions, understand the power of business to negatively or positively impact their surroundings, gained exposure to how a variety of different organizations and perspectives tackle today’s sustainability challenges, and became more aware of their own role when participating in personal and professional decisions related to sustainability. 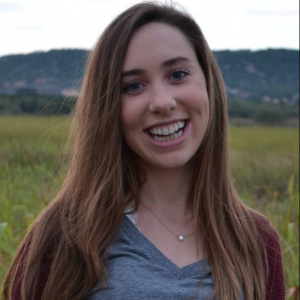 Marissa Hickson, a senior marketing major, said that “the most impactful thing I learned in the class was the importance of researching the background, goals, and values of the companies I support. 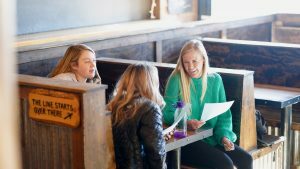 We learned how to evaluate sustainability reports and determine whether or not a company’s values align with ours. I learned that a lot of companies that I have trusted in the past don’t actually operate in the most ethical ways! 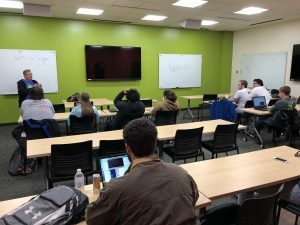 It’s great to be aware of this now so that I can be sure to support the companies who are actively working to make our world a better place.” The class will be offered next January, so students can ask your advisor about this offering. It’s graduation day for our December graduates and we wanted to take one more opportunity to celebrate this milestone in their lives. 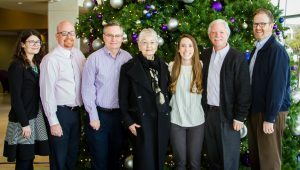 Last week, on December the 4th, COBA hosted a luncheon in their honor celebrating them and all of the hard work that has helped them reach this day. 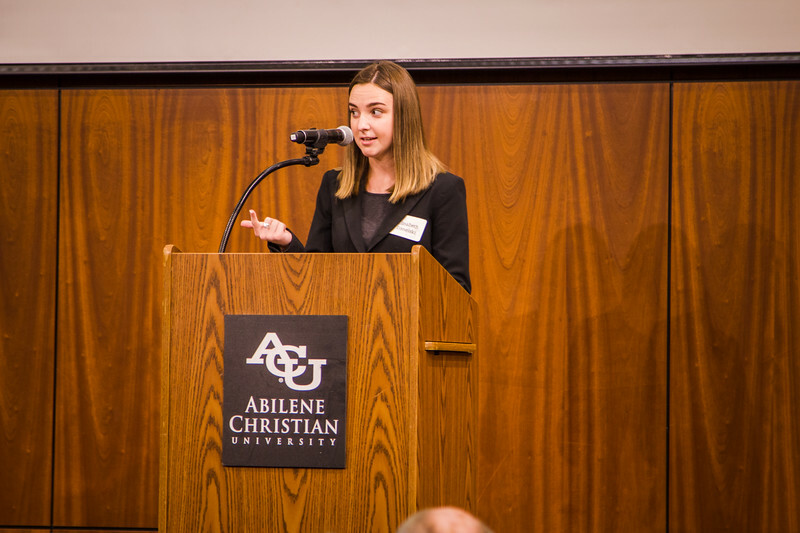 Faculty, staff and students enjoyed fellow-shipping with each other, learning more about students’ favorite experiences at ACU and what advice those that were a little older would give them as they go out into the world. It’s our tradition for a faculty member to give a blessing over the graduates as we say goodbye to them. Dr. David Perkins, Professor of Accounting, did this in an unusual way this year. Known for his guitar ballads in class, he chose to sing the blessing over them with a David Perkins original song. 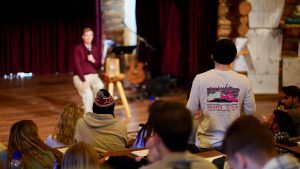 We hope you’ll enjoy hearing his message to the students as well as seeing some pictures from the event. To the class of 2018 we say thank you for choosing ACU, for investing of yourself in the process, and for making us all better people during your time here. May God bless you and give you wisdom and direction knowing that He has designed you for His purpose and good works, which he has planned and prepared in advance for you to do. 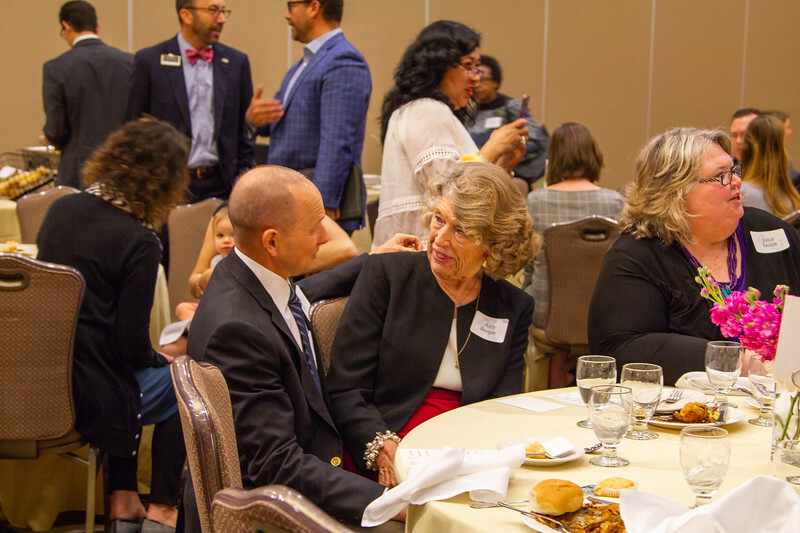 To view all of the pictures from the luncheon, click here. 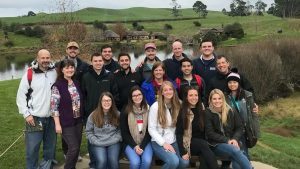 Our last installment in our COBA Study Abroad series highlights the MAcc (Master in Accountancy) trip to Australia and New Zealand, led by Dr. Curtis Clements and Dr. Kyle Tippens. 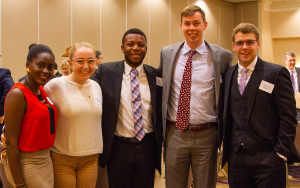 MAcc students received credit for International Accounting and Financial Reporting and International Financial Markets. 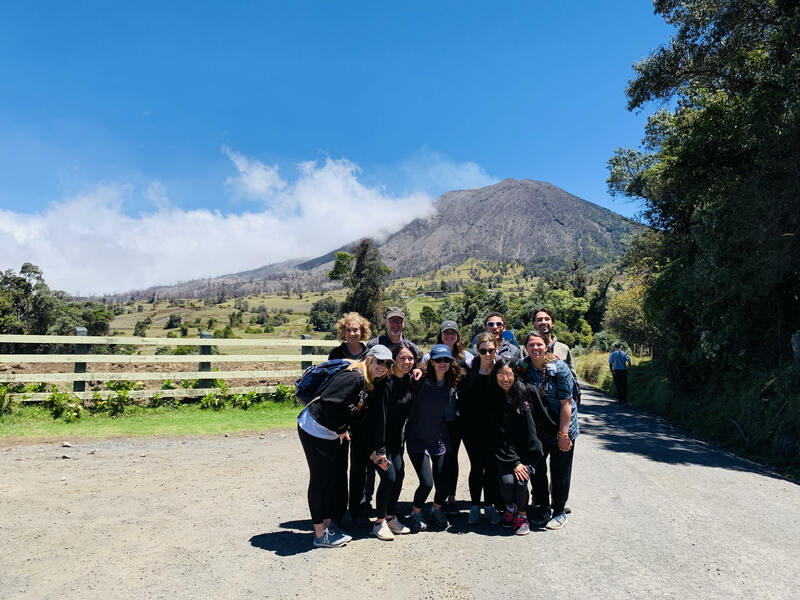 We can’t think of a better way to learn about global business than being immersed in it! We asked Dr. Clements to tell us what it’s like to learn in the land down under. 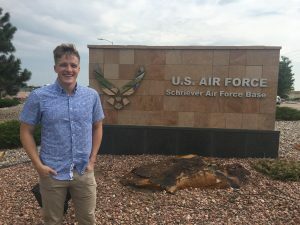 What made your destination a unique place to study? We didn’t really have a home city. Instead, we traveled to three cities: Sydney and Melbourne in Australia and Auckland in New Zealand. We chose Australia and New Zealand because we had business contacts there and for their diverse cultures. We visited a number of companies and organizations. These include PWC, KPMG, EY, the Sydney Wool Exchange, The Australian Accounting Standards Board, The Australian Auditing Standards Board, ANZ Bank, Australia-New Zealand Chartered Accountants, and Xerox. In Sydney we went to Taronga Zoo. Taronga is a world-class zoo with many different animals from around the world. We also took a nighttime harbor cruise during the Vivid Sydney festival, which was outstanding. In Melbourne, we took a trip outside the city on a train powered by a steam engine. In New Zealand, we toured Hobbiton where the Lord of the Rings movies were filmed as well as the Hobbit movies. We also went to the Te Puia Maori Village‎ cultural center in Rotorua. 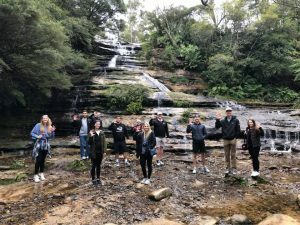 On their own, the students also traveled to the Blue Mountains, Manly Beach, and Bondi Beach in Sydney. They attended an Aussie Rules football game, went to Brighton Beach, and watched the penguins come ashore in Melbourne. 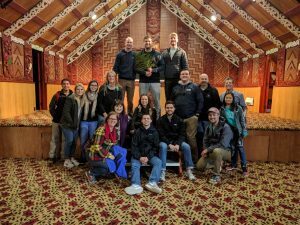 In New Zealand, the students traveled to several locations outside of Auckland. The experience was outstanding! You get to know the students so well and they get to know you beyond what they see in the classroom. It allows you to speak into their lives on a much deeper level. We learned so much about the students and, hopefully, they know us and our families better. Two things stood out for me. First, my wife and I were able to renew friendships with people we haven’t seen in 27 years. As far as the academic part of the trip, there are so many things that were enjoyable and informative. I don’t think we had a bad visit and it is really hard to point to one thing. 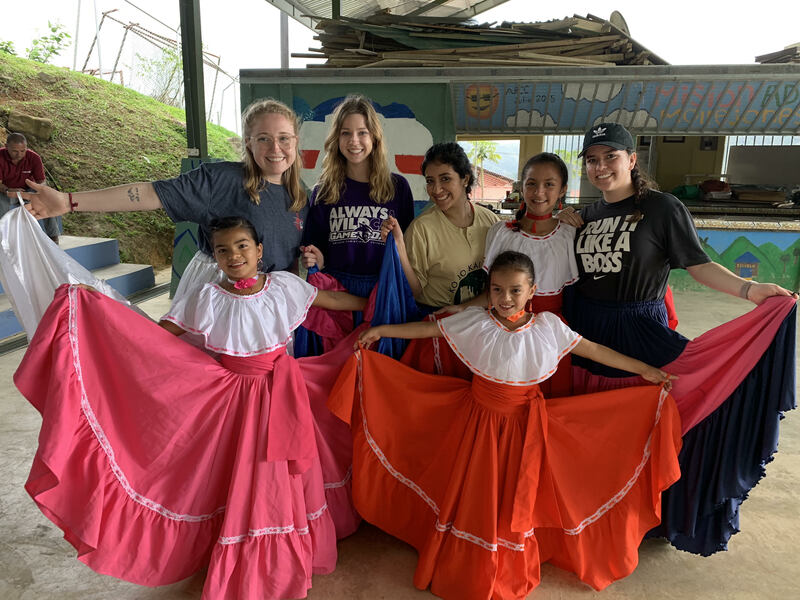 It was interesting as I was reading the students’ journals as they would say, “This is the best thing on the trip!” And then just a day or two later, they would say the same thing! 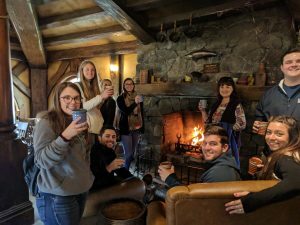 As far as the sightseeing, I would have to say the trip to Hobbiton was the best thing we did. That we live in an interconnected world. This is especially true in business. As an aside, I also hope they learned that what we teach and tell them in class really matters! Anything else I’ve forgotten to mention that you would like to talk about? We have some outstanding students!